Home › About the IELTS Exam › IELTS Frequently Asked Questions › How Hard is the IELTS? If a student asked me this question, I’d probably respond by saying, ‘How long is a piece of string?’, which is a classic idiom that is used to indicate that something cannot be easily measured. You see, technically a piece of string has length, but that length is unknown, hence the phrase ‘how long is a piece of string’ means that the quantitative answer is not known and there is an implicate understanding that the answer will be difficult to find given the information available. If we consider this in the context of the IELTS exam, we must understand that a student’s perceived difficulty will vary from person to person based on that individuals personality, background, learning style, and practice history. Each of the four components – listening, speaking, reading and writing – are difficult in their own way. To get an indication of how hard you might find each segment, I’d recommend taking a practice test for each of the categories. At the end of each practice test, check your performance against the relevant assessment checklist below, which are based on how the IELTs is marked. Circle the number 1-9 (where 9 is the highest). Be realistic about your assessment and if possible check it with a friend or even better, with a teacher. Include notes on how you felt with regards to each criteria so that you can help identify your strengths and weaknesses. 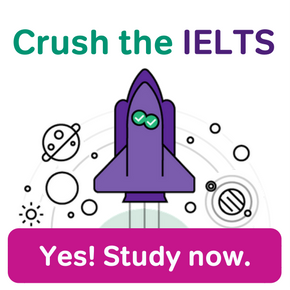 If most of your circles are 1s to 5s, that would indicate that you will find the IELTS exam challenging, and I’d recommend a lot more practice before attempting the examination. If most of your scores are 8s, and 9s, that is an indication that you will find the IELTS exam relatively easy. I would aim for the majority of your circles to be 7s if you want a good IELTS score on examination day. To check your progress, each time you do a practice exam or an exercise, rate your performance against the relevant checklist. Date and keep a copy of each checklist to see how you improve. 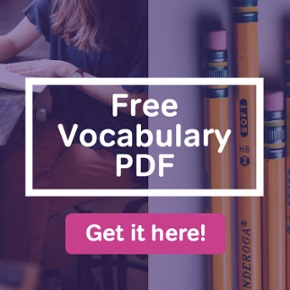 The speaking section is the part that the majority of students will be most comfortable with, as they have practiced it the most. However, the area most students find hard is staying on topic and giving complete answers. For this assessment, I advise you to have a native English speaker help in the evaluation. In general, I recommend that you complete as many practice tests as you can before the examination. 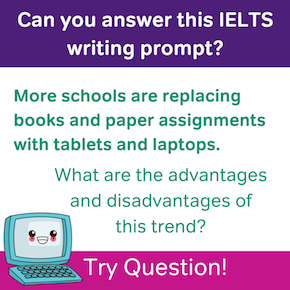 By doing so, and using the checklists above, you will gradually learn what’s the most difficult aspect of IELTS for you. These should be the areas that you get extra tutoring in to help you improve and increase your overall score. 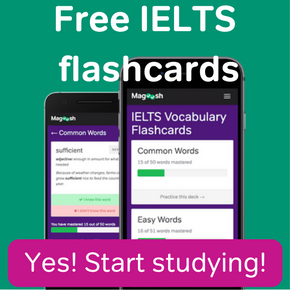 Check out these IELTS resources and Magoosh IELTS prep to help get you prepared.